Y KNOT is a clean and capable Freedom 45 CC. 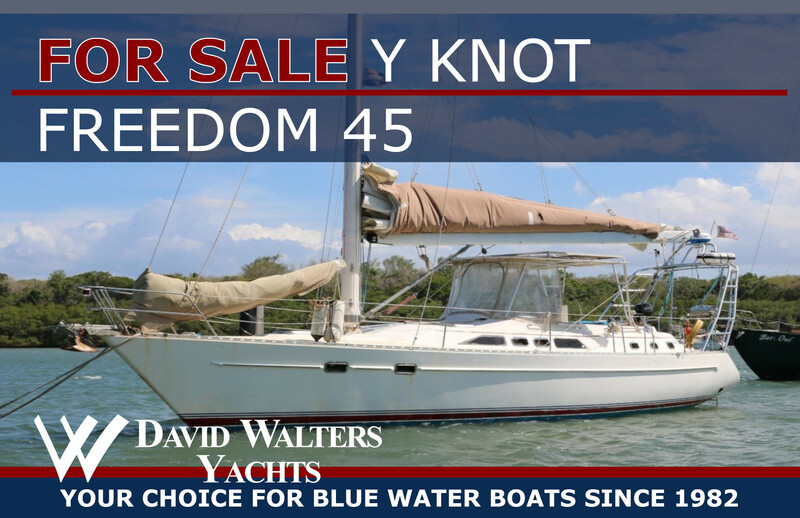 She is a proven and capable shoal draft offshore cruiser in ready-to-sail condition. Presently lying in the Dominican Republic but sailing soon for Fort Lauderdale. Y Knot's Freedom 45 CC design is world-renowned for ease of handling, comfort and speed. Her heavily-built carbon fiber mast is free-standing, keel-stepped and requires no standing rigging. That, combined with a self-tending foresail, simplifies singe-handling while her ample 2-cabin 2-head layout can easily accommodate up to two cruising couples in comfort and style.